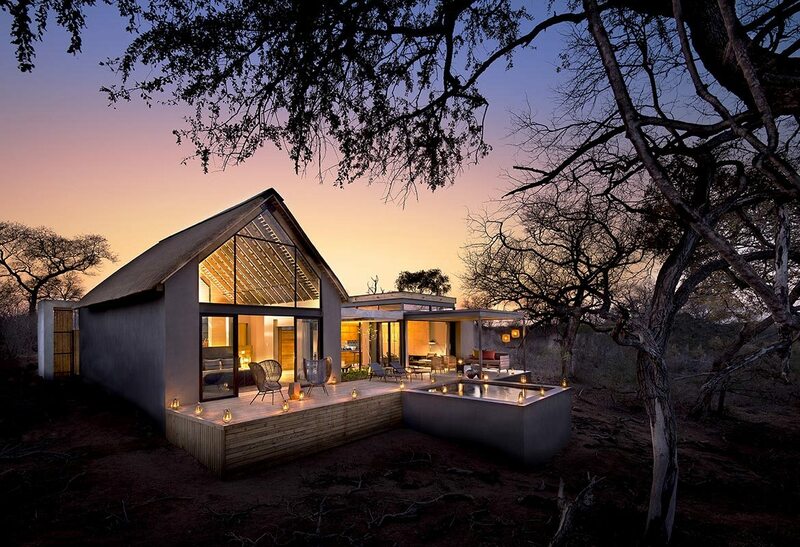 Romantic and secluded locations in pristine wilderness areas make this honeymoon safari in the Greater Kruger and Quirimbas Archipelago not just an ideal safari and beach holiday, but also the perfect opportunity for honeymoon couples to finally get away from it all, and make lifelong memories together sharing adventures, or just relaxing. 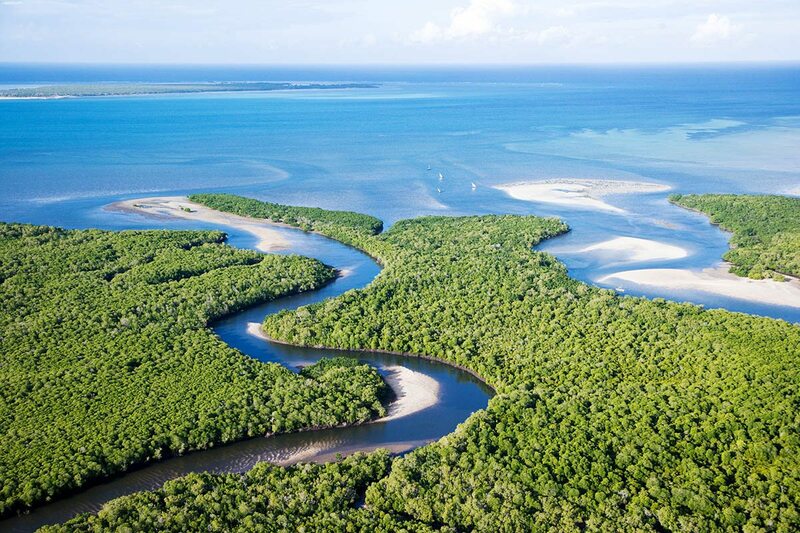 Riverine and forest habitats in South Africa’s Greater Kruger, and even more expansive beach, dune and ocean views from the Quirimbas Archipelago in northern Mozambique. 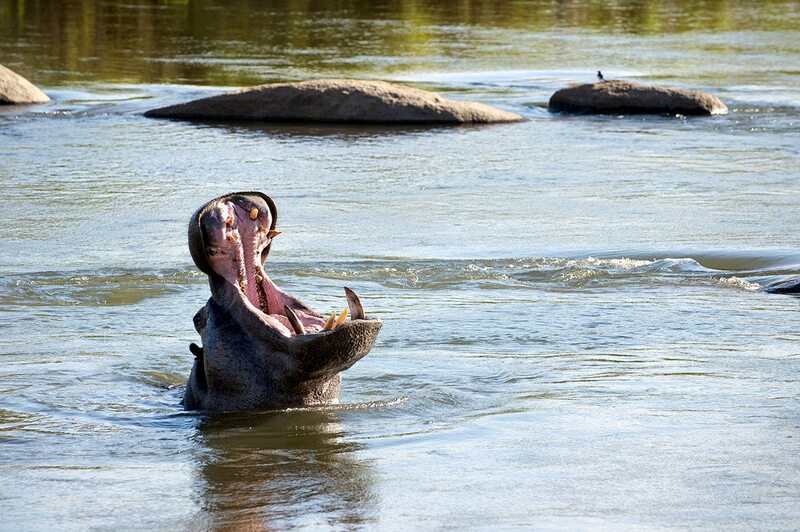 Opportunities for authentic, up-close safari experiences, with big-cat encounters and tracking animals on foot being specialities of the expert guides at Ivory Lodge, plus the chance to snorkel and dive on pristine coral reefs off Ibo Island, kayak and dine on sandbars. 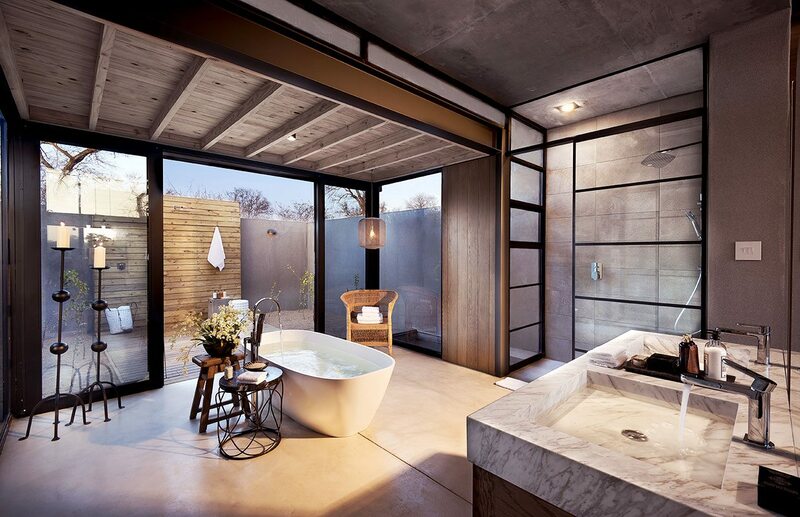 An elevated safari chic suite overlooking the Sabie River, a secluded, enclosed glass and wood treehouse in the forest and a sea-facing room in a lovingly restored colonial mansion. 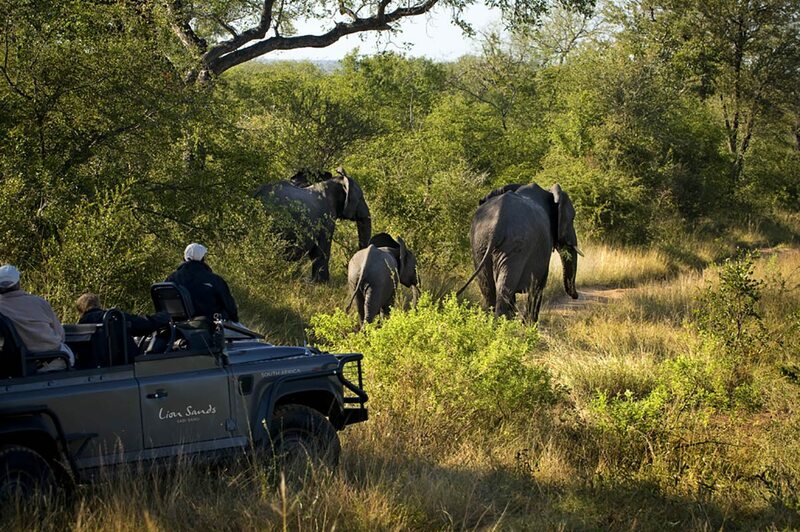 For more information see Ivory Lodge, Kingston Treehouse and Ibo Island Lodge. The white buildings of Ivory Lodge contrasted with the surrounding riverine forest, but in a way that seemed harmonious rather than jarring. 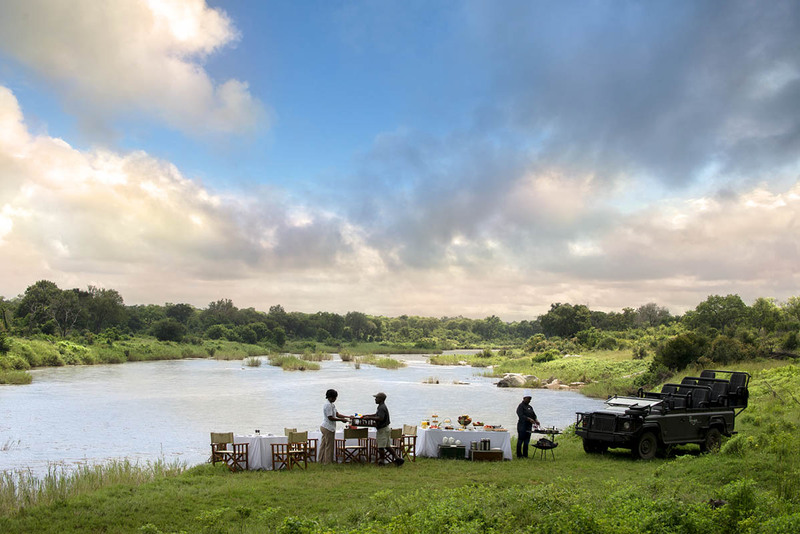 We had intended to spend our first afternoon relaxing and soaking up the ‘safari chic’ ambience of our very private suite, but with our butler having spotted a leopard drinking from a sandbar on his way to bring us high tea, we were easily persuaded to head out on an impromptu safari. 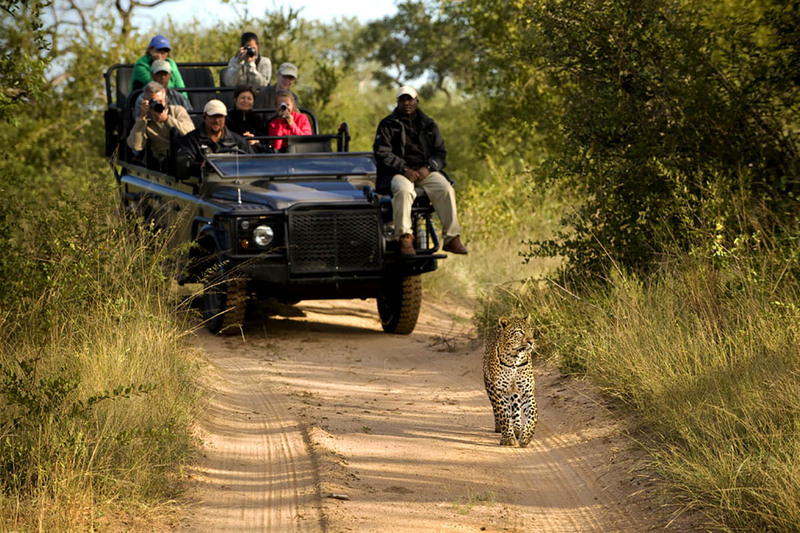 Our first up-close encounter with a big cat turned out to be a fleeting meeting, but was no less thrilling for that, and boded well for our stay.It was hard to believe that within 48 hours of walking down the aisle, we were walking alongside the Sabie River and learning how to track animals on foot with our guide and local tracker. The damp sand had a great many tracks imprinted into it, and we were impressed at the tracker’s ability to not just identify them, but explain the stories behind them. We saw where our leopard had leapt across the water from one sandbank to another, and where a porcupine and slaked his thirst and shaken his quills. A lantern-lit dinner on our private plunge-pool deck completed the day.A morning spent in the fabulous spa was exactly what we needed to soothe away the wedding planning and international flight. Side by side, with birdsong and a gentle breeze reaching us from outside, it was all too easy to surrender ourselves to the expert hands of the therapists. Rejuvenated, we headed out on safari that afternoon, but hadn’t gone far when we met a large troop of baboon in the road. Their antics were fascinating, and seeing how much they enjoyed being groomed, we smiled to think that perhaps they weren’t so very different from us after all. The white buildings of Ivory Lodge contrasted with the surrounding riverine forest, but in a way that seemed harmonious rather than jarring. We had intended to spend our first afternoon relaxing and soaking up the ‘safari chic’ ambience of our very private suite, but with our butler having spotted a leopard drinking from a sandbar on his way to bring us high tea, we were easily persuaded to head out on an impromptu safari. Our first up-close encounter with a big cat turned out to be a fleeting meeting, but was no less thrilling for that, and boded well for our stay. It was hard to believe that within 48 hours of walking down the aisle, we were walking alongside the Sabie River and learning how to track animals on foot with our guide and local tracker. The damp sand had a great many tracks imprinted into it, and we were impressed at the tracker’s ability to not just identify them, but explain the stories behind them. 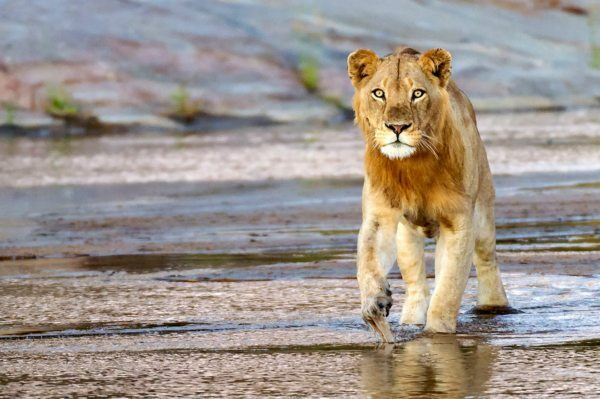 We saw where our leopard had leapt across the water from one sandbank to another, and where a porcupine and slaked his thirst and shaken his quills. 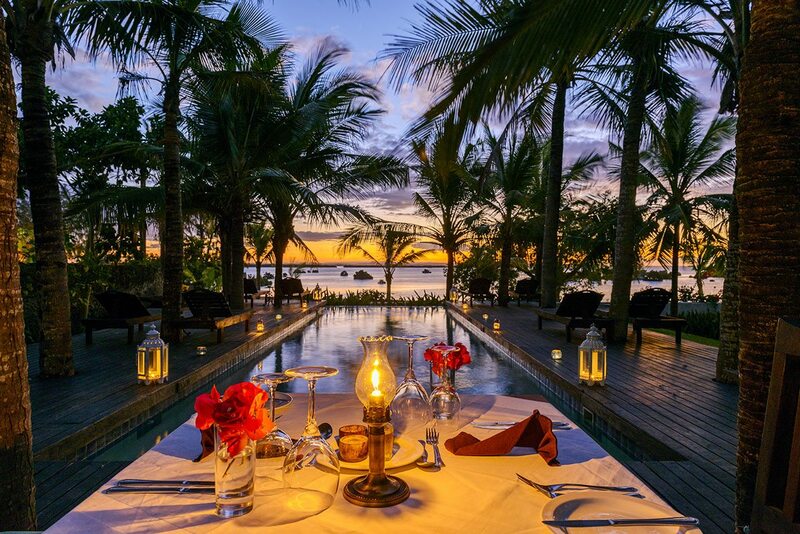 A lantern-lit dinner on our private plunge-pool deck completed the day. A morning spent in the fabulous spa was exactly what we needed to soothe away the wedding planning and international flight. Side by side, with birdsong and a gentle breeze reaching us from outside, it was all too easy to surrender ourselves to the expert hands of the therapists. Rejuvenated, we headed out on safari that afternoon, but hadn’t gone far when we met a large troop of baboon in the road. Their antics were fascinating, and seeing how much they enjoyed being groomed, we smiled to think that perhaps they weren’t so very different from us after all. 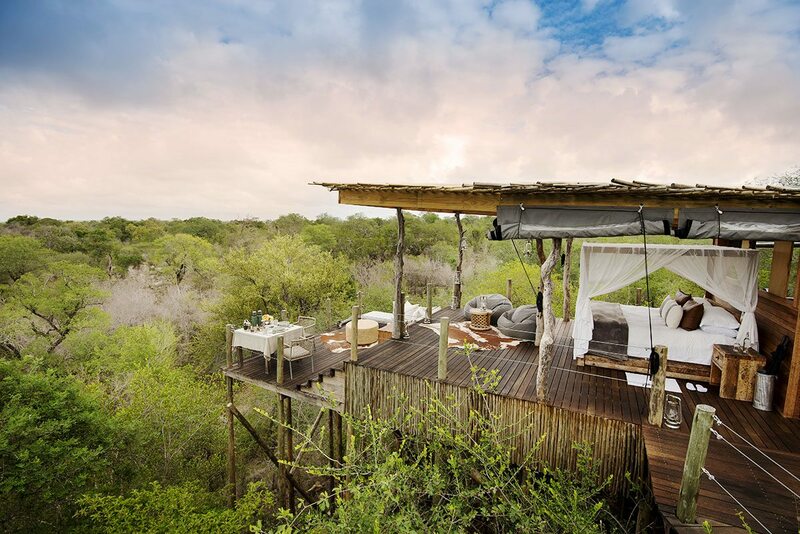 Between our second and third nights at Ivory Lodge, we slipped away on a short walk to the ultimate bush bedroom: Kingston Treehouse. 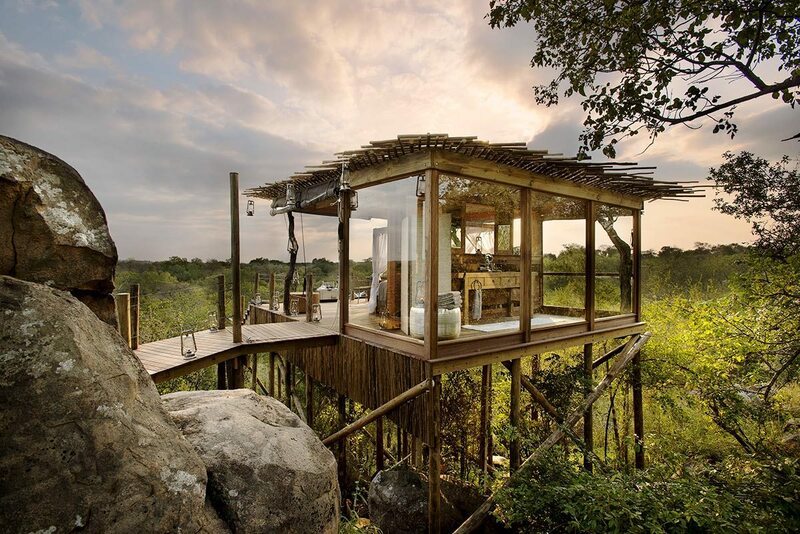 We crossed the drawbridge to this remarkable construction of wood and glass, with its 360-degree views of the surrounding bushveld. Although we’d left the lodge and most of our luggage behind, we certainly weren’t roughing it. A meze-style sunset picnic and clinked glasses of bubbly added to a sense that the luxury was undiminished, while being woken during the night by lion roaring (everything sounds much nearer in the dark) gave us one last up-close big cat encounter. As our last flight of the day, a light aircraft, touched down on Ibo Island’s grassy airstrip, we instinctively felt that we traded one paradise for another.Ibo Island was exactly what we’d hoped it would be – a tiny, secluded and impossibly romantic island set in the warm, clear waters of the Indian Ocean. 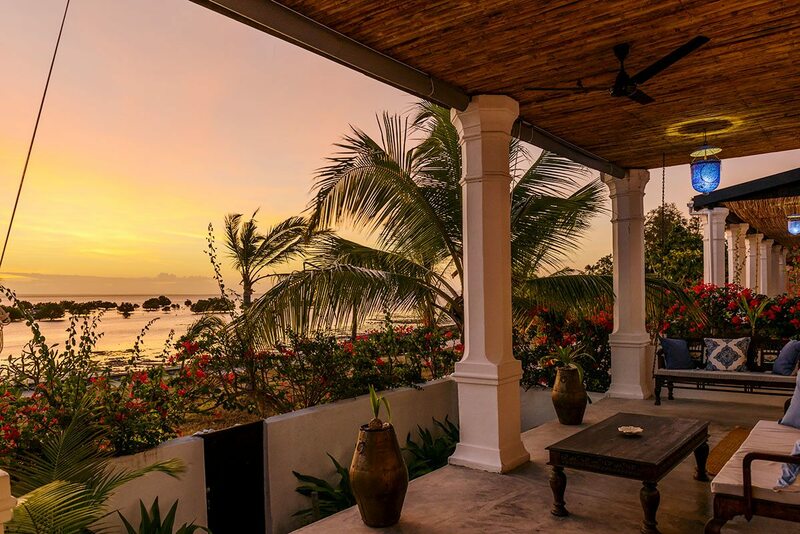 Appropriately for two people who’d just exchanged vows, our sea-facing room at Ibo Island Lodge was in a former trading mansion. With palm fronds swaying in the breeze and bougainvillea blowing about, I almost had to pinch myself to check that I wasn’t dreaming. 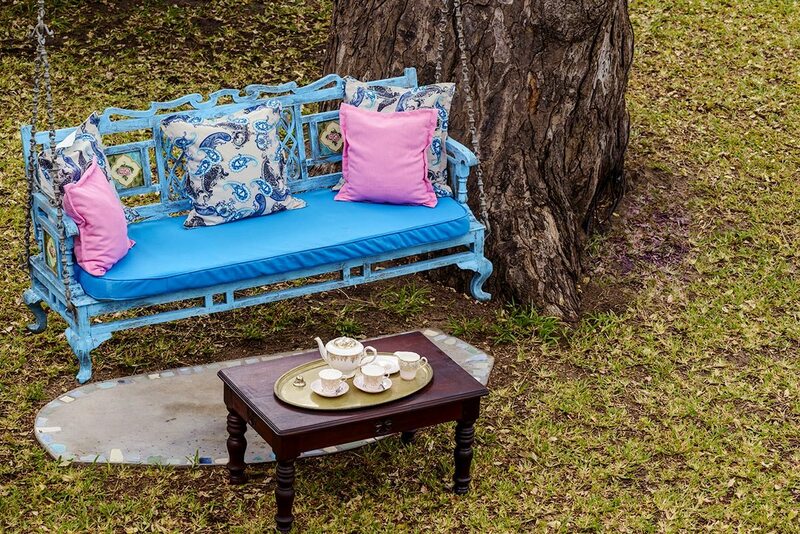 And that’s before I saw the four-poster bed, with the handwritten congratulations note surrounded by frangipani blooms. The note invited us to a private dinner that evening in a secret location. Where? Now that would be telling!Intrigued by Ibo’s fascinating past (which in many ways, seemed alive and well – but then where better to honeymoon than a place where time’s stood still? ), we embarked on a guided cultural tour of the island. Visiting the silversmiths in the shadow of the imposing old-fort gate, I was tempted – until my partner pointed out that we’d spent enough on jewellery recently! From under an abandoned archway we watched a dhow sail by, and our guide pointed out a pod of dolphin cavorting in front of its prow. 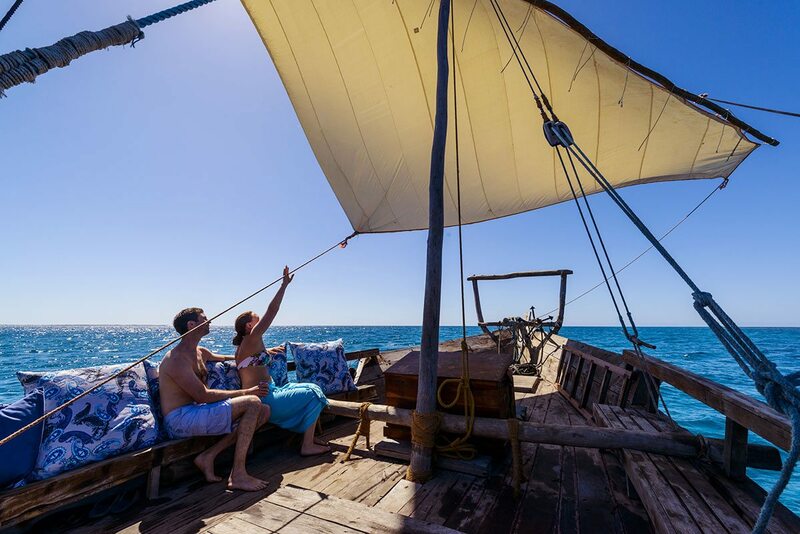 They seemed to be loving life in the Quirimbas Archipelago, and we were too.On such a small island, the sea is a constant presence, and we were keen to explore its riches the next day. A short boat ride out from the lodge and we were over the closest of many coral reefs. The water was clear enough that we could see the bottom just by looking over the side, and as soon as our masks and flippers were in place, we began snorkelling over the reef. Imagine looking down on a crowded city at rush hour – that’s the impression we both had of the reef. It was teeming with multicoloured fish, all self-importantly going about their very urgent business.Knowing that the archipelago is one of the last haunts of the dugong, we spent an afternoon languidly kayaking up mangrove creeks in search of the creature that convinced ancient mariners that they’d seen mermaids. The rarity of dugong was brought home to us by the fact we didn’t spot one, but we did get to spend more blissful time together, listening to fish-eagle calls and keeping our ears open for the tell-tale splash of a marine maiden. Any slight disappointment dissipated instantly as we stepped back inside our room to find it had been given the romantic turn-down treatment.Our snorkelling trip had merely served to ‘wet’ our appetite for more undersea adventures, and knowing that we were within range of several oceanic drop-offs meant that diving the Quirimbas just had to be done. As we floated weightlessly above the point where the ocean floor fell away, my partner and I practiced the scuba hand signals we’d been taught, and added our own for I love you. Peering into the indigo depths, we felt a surge of adrenaline as a medium-sized shark rose towards us. Our experienced local divemaster indicated it was harmless, although it certainly looked the part!While I enjoyed my traditional Ibo Island massage (for the bride) my partner headed out on a fishing excursion. Nothing like reverting to gender stereotypes on our honeymoon! In his new role as provider, he excelled. I emerged from the spa in a state of calm euphoria to be met by the Ibo Island Lodge chef, who was making his way up the beach with a tuna in each hand, courtesy of mine truly. Knowing the story behind the meal made our lunchtime sushi even more enjoyable; the fact that our honeymoon would soon end added a piquancy to every moment.When the boat captain came to invite us on a boat excursion to the bank, we were a little bemused. As we headed out to sea, it became clear that he meant a rather different kind of bank. A white canopy had been erected on a sandbar, and beneath it was a treasure-chest picnic hamper of all the foods we’d most enjoyed during our stay. As the boat pulled away – promising to return before the tide turned – we delighted in this chance to dine on a sandbar. I’d been given away and was now a castaway, all in the space of a week! As our last flight of the day, a light aircraft, touched down on Ibo Island’s grassy airstrip, we instinctively felt that we traded one paradise for another. Ibo Island was exactly what we’d hoped it would be – a tiny, secluded and impossibly romantic island set in the warm, clear waters of the Indian Ocean. Appropriately for two people who’d just exchanged vows, our sea-facing room at Ibo Island Lodge was in a former trading mansion. With palm fronds swaying in the breeze and bougainvillea blowing about, I almost had to pinch myself to check that I wasn’t dreaming. And that’s before I saw the four-poster bed, with the handwritten congratulations note surrounded by frangipani blooms. The note invited us to a private dinner that evening in a secret location. Where? Now that would be telling! Intrigued by Ibo’s fascinating past (which in many ways, seemed alive and well – but then where better to honeymoon than a place where time’s stood still? ), we embarked on a guided cultural tour of the island. Visiting the silversmiths in the shadow of the imposing old-fort gate, I was tempted – until my partner pointed out that we’d spent enough on jewellery recently! From under an abandoned archway we watched a dhow sail by, and our guide pointed out a pod of dolphin cavorting in front of its prow. They seemed to be loving life in the Quirimbas Archipelago, and we were too. On such a small island, the sea is a constant presence, and we were keen to explore its riches the next day. A short boat ride out from the lodge and we were over the closest of many coral reefs. The water was clear enough that we could see the bottom just by looking over the side, and as soon as our masks and flippers were in place, we began snorkelling over the reef. Imagine looking down on a crowded city at rush hour – that’s the impression we both had of the reef. It was teeming with multicoloured fish, all self-importantly going about their very urgent business. 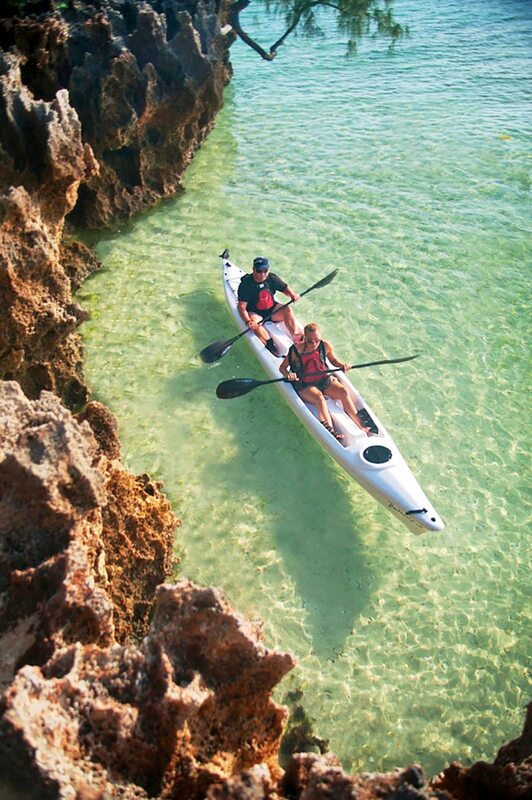 Knowing that the archipelago is one of the last haunts of the dugong, we spent an afternoon languidly kayaking up mangrove creeks in search of the creature that convinced ancient mariners that they’d seen mermaids. The rarity of dugong was brought home to us by the fact we didn’t spot one, but we did get to spend more blissful time together, listening to fish-eagle calls and keeping our ears open for the tell-tale splash of a marine maiden. Any slight disappointment dissipated instantly as we stepped back inside our room to find it had been given the romantic turn-down treatment. Our snorkelling trip had merely served to ‘wet’ our appetite for more undersea adventures, and knowing that we were within range of several oceanic drop-offs meant that diving the Quirimbas just had to be done. As we floated weightlessly above the point where the ocean floor fell away, my partner and I practiced the scuba hand signals we’d been taught, and added our own for I love you. Peering into the indigo depths, we felt a surge of adrenaline as a medium-sized shark rose towards us. Our experienced local divemaster indicated it was harmless, although it certainly looked the part! While I enjoyed my traditional Ibo Island massage (for the bride) my partner headed out on a fishing excursion. Nothing like reverting to gender stereotypes on our honeymoon! In his new role as provider, he excelled. I emerged from the spa in a state of calm euphoria to be met by the Ibo Island Lodge chef, who was making his way up the beach with a tuna in each hand, courtesy of mine truly. Knowing the story behind the meal made our lunchtime sushi even more enjoyable; the fact that our honeymoon would soon end added a piquancy to every moment. When the boat captain came to invite us on a boat excursion to the bank, we were a little bemused. 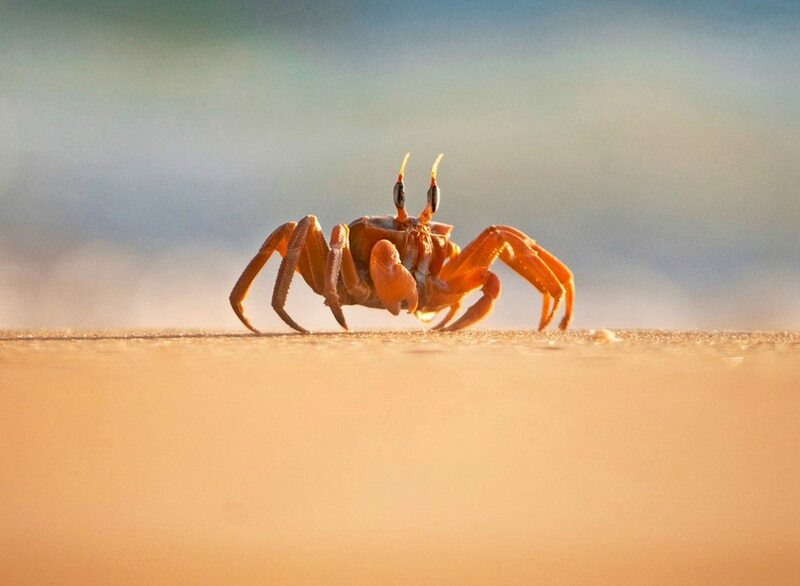 As we headed out to sea, it became clear that he meant a rather different kind of bank. A white canopy had been erected on a sandbar, and beneath it was a treasure-chest picnic hamper of all the foods we’d most enjoyed during our stay. As the boat pulled away – promising to return before the tide turned – we delighted in this chance to dine on a sandbar. I’d been given away and was now a castaway, all in the space of a week! After the big-day nerves and the slightly exhausting melee of well-wishers, it was wonderful to escape to remote places where intestinal butterflies were replaced by the real thing. We soon discovered that – gorgeous accommodation and almost uncannily pre-emptive service aside – the most luxurious aspect of our honeymoon was being able to spend time together, with no distractions. Actually, that’s not quite true – there were distractions aplenty, but as they consisted of incandescent sunsets, the steady gaze of a leopard and mosquito nets rippling in a sea breeze, they were both novel and welcome.As we began the one adventure that would last us a lifetime – our marriage – we were able to enjoy experiences ranging from the exhilarating to restful. Some lasted only minutes or hours, but all were wonderful, and bound us even more tightly together with the golden threads of memory.With many happy years ahead of us, we naturally found our thoughts turning to the future. This was made that much easier by spending time in places founded on forward-looking philosophies. The More family’s conservation vision for their Lion Sands reserve was inspiring, and so too was Ibo Island Lodge’s approach to sharing the benefits of ecotourism with local people.We also reflected on our own past – after all, we had to do the ‘so how did you two meet?’ conversation once or twice, and this too seemed appropriate as we learned about the farming family histories of Greater Kruger, and strolled through the romantic coral-block ruins of the Quirimbas Archipelago. After the big-day nerves and the slightly exhausting melee of well-wishers, it was wonderful to escape to remote places where intestinal butterflies were replaced by the real thing. We soon discovered that – gorgeous accommodation and almost uncannily pre-emptive service aside – the most luxurious aspect of our honeymoon was being able to spend time together, with no distractions. Actually, that’s not quite true – there were distractions aplenty, but as they consisted of incandescent sunsets, the steady gaze of a leopard and mosquito nets rippling in a sea breeze, they were both novel and welcome. As we began the one adventure that would last us a lifetime – our marriage – we were able to enjoy experiences ranging from the exhilarating to restful. Some lasted only minutes or hours, but all were wonderful, and bound us even more tightly together with the golden threads of memory. With many happy years ahead of us, we naturally found our thoughts turning to the future. This was made that much easier by spending time in places founded on forward-looking philosophies. 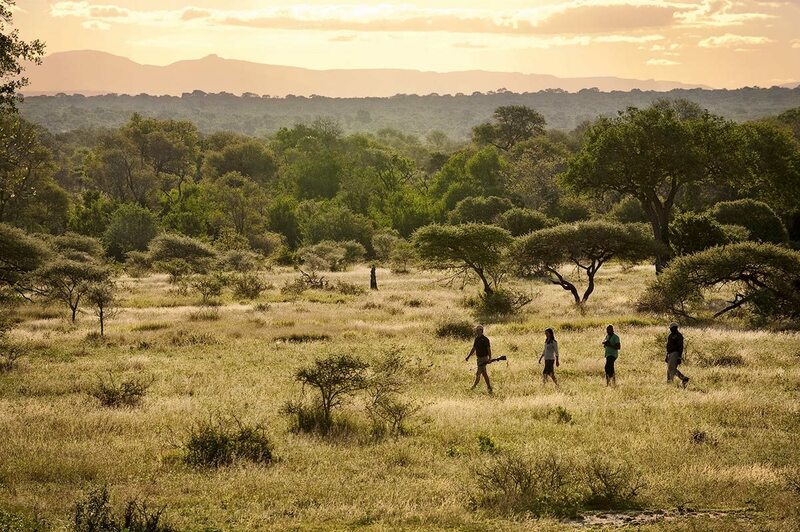 The More family’s conservation vision for their Lion Sands reserve was inspiring, and so too was Ibo Island Lodge’s approach to sharing the benefits of ecotourism with local people. We also reflected on our own past – after all, we had to do the ‘so how did you two meet?’ conversation once or twice, and this too seemed appropriate as we learned about the farming family histories of Greater Kruger, and strolled through the romantic coral-block ruins of the Quirimbas Archipelago. You’ll be met as you disembark from your international flight at OR Tambo International Airport in Johannesburg, and assisted through customs and immigration. 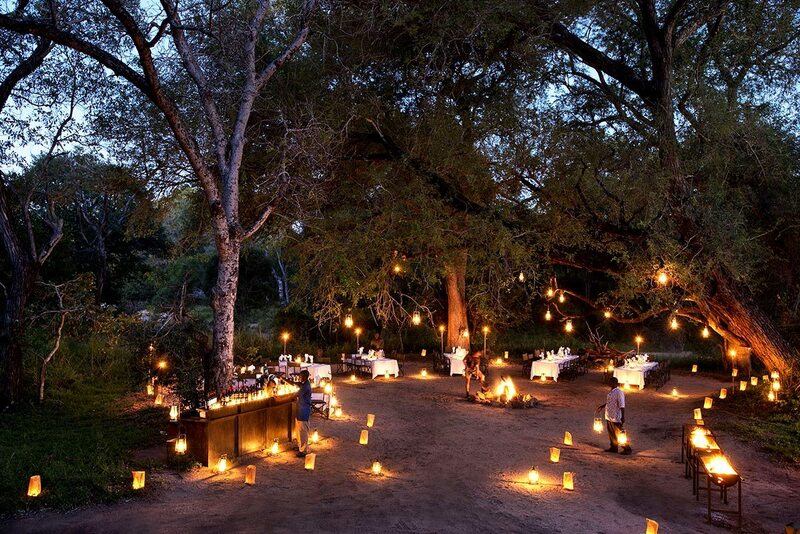 After a scheduled flight to the Greater Kruger, you’ll take a transfer to Ivory Lodge in Sabi Sands Game Reserve, where you’ll spend three nights. 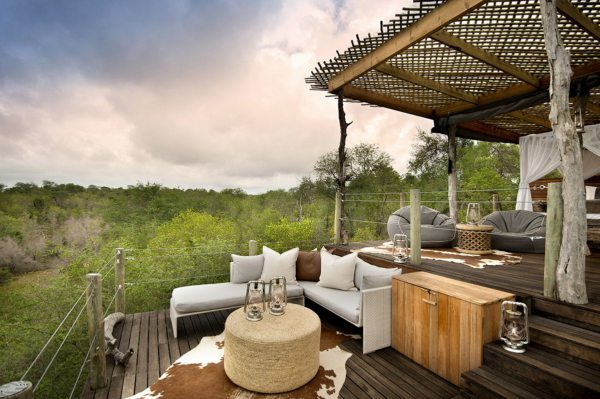 A transfer will take you from Ivory Lodge to Kingston Treehouse, where you’ll spend one night. 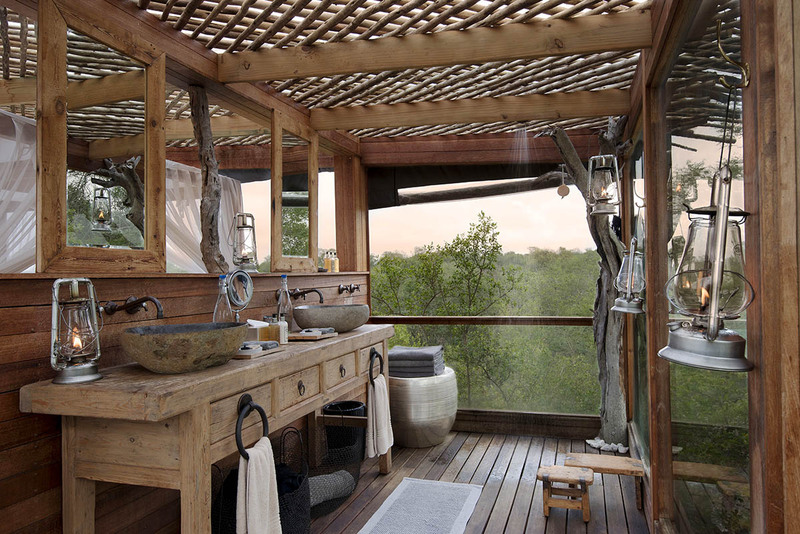 Note: the treehouse experience can be done any time during your stay at Ivory Lodge. 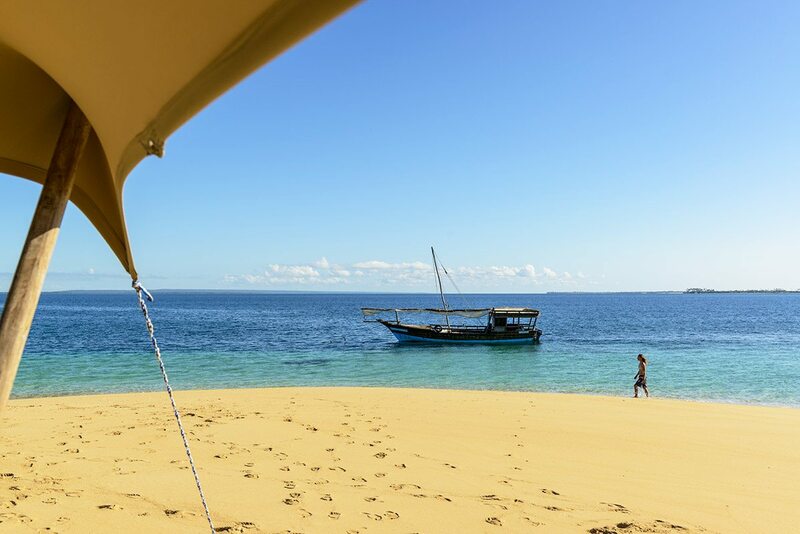 After a transfer from Ivory Lodge to the airport, you’ll take a scheduled flight to another part of the Greater Kruger, and another to Pemba in Mozambique. After a scheduled light-aircraft flight to Ibo Island, a transfer will take you to Ibo Island Lodge, where you’ll spend seven nights. 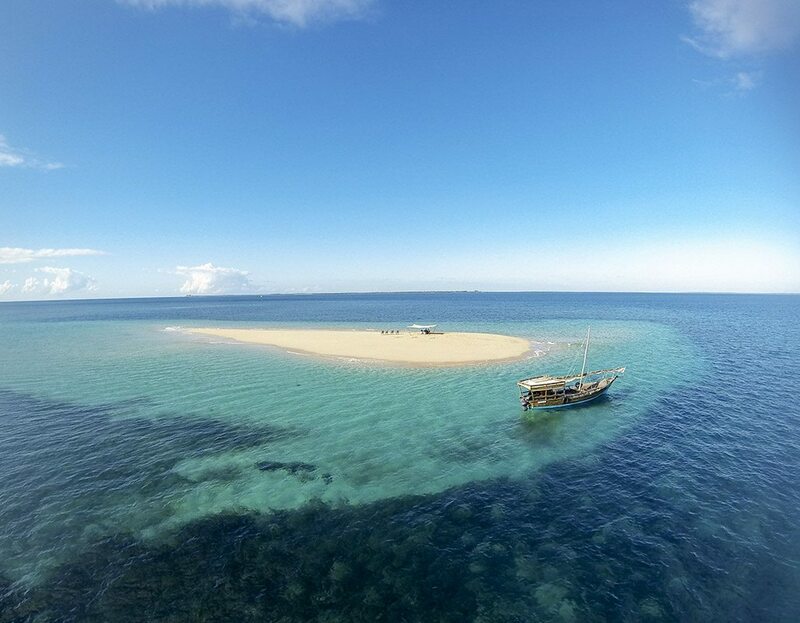 After a transfer from Ibo Island Lodge to the airstrip, you’ll take a scheduled light-aircraft flight to Pemba. A scheduled flight will take you to OR Tambo International Airport in Johannesburg, South Africa, to connect with your international flight.